Patricia Vendramin (editor) - Contributions from Bureau M.C., Castro P., Cultiaux J., Davoine L., Delay B., Füleki K., Grützmacher N., Knop A., Méda D., Nogal A., Passos A., Polyacskó O., Ponzellini A.M., Richter G., Vajda J., Valenduc G., Vendramin P., Wong M., Zoll R., Zoll-Grubert E.
Downloadable (PDF 736 kb) or paper version on request by e-mail. Vendramin P., Valenduc G., Rolland I. (FTU), Richardson R., Gillespie A., Belt V. (CURDS), Carré D., Maugéri S., Combès Y. (LabSIC), Ponzellini A., Pedersini R., Neri S. (Fond. 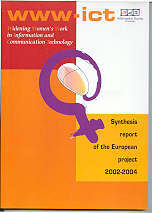 Seveso), Flexible work practices and communication technology, Report for the European Commission, SOE1-CT97-1064, DG XII, Brussels, 2000. Gillespie A., Richardson R., Valenduc G., Vendramin P., Technology induced atypical work-forms, report for the Office of technology assessment of the European Parliament (STOA), Brussels, April 1999. European Parliament, STOA documentation centre. Vendramin P., Trabajo, sentido de pertenencia y cohesión social en Europa Occidental, in Hopenhayn M. & Sojo A. (eds), Sentido de pertenencia en sociedades fragmentadas, Siglo Veintuno Ed., Buenos Aires, 2011. 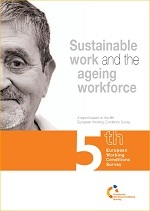 Vendramin P., Age diversity and intergenerational relations at the workplace, Fourth Conference "Young People and Societies in Europe and arround the Mediterranean", Forli, 26-38 March 2009. Downloadable. Vendramin P., Valenduc G., Restructuring in organisations and changes in occupational groups, in "Sociological Problems", Sofia (BG), 2007. Valenduc G., El futuro del trabajo en la sociedad de la información, in Nuevas formas de trabajo y sociedad, Fundación Asturias, Oviedo, 2001. 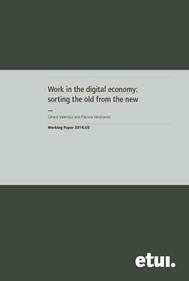 Valenduc G., Vendramin P., Telework: from distance working to new forms of flexible work organisation, in Transfer - European Review of Labour and Research, vol. 7 n° 2, Brussels, July 2001, pp. 244-257. 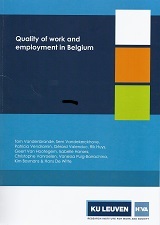 Vendramin P., Valenduc G., Information technologies and intensification of work, in TA-Datenbank Nachrichten, vol. 10 n°1, Karlsruhe, March 2001, pp. 83-87. 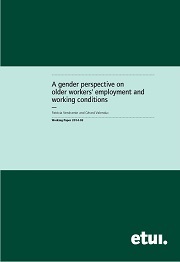 Vendramin P., Valenduc G., New work forms and challenges for public policies, in the "Making Telework work for all", Proceedings of the 6th European Assembly on "Telework and new ways of working", (Aarhus, DK, Sept. 1999), European Commission, July 2000, pp. 31-39. Valenduc G., Vendramin P., Telework and non-standard ways of working, in the Proceedings of the conference "Telework strategies for the new workforce", International Flexwork Forum, Tokyo, Sept. 1999, pp. 40-49. Valenduc G., Vendramin P., A social approach to flexibility in distance working, in Suomi R. & al. (Eds.) Teleworking Environments, University of Turku (Finland), Sept. 1998, pp. 230-244. 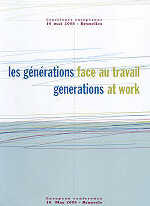 Vendramin P., Valenduc G., Networking in services: organisational and professional changes, in Clement A., Kolm P., Wagner I. (Eds), Networking: connecting workers in and between organizations, Proceedings of the IFIP Networking Conference, Vienna, June 1993, edited by North Holland, 1994, pp. 213-220.